This is a sponsored post written by me on behalf of Know Cosmetics. All opinions are 100% mine. 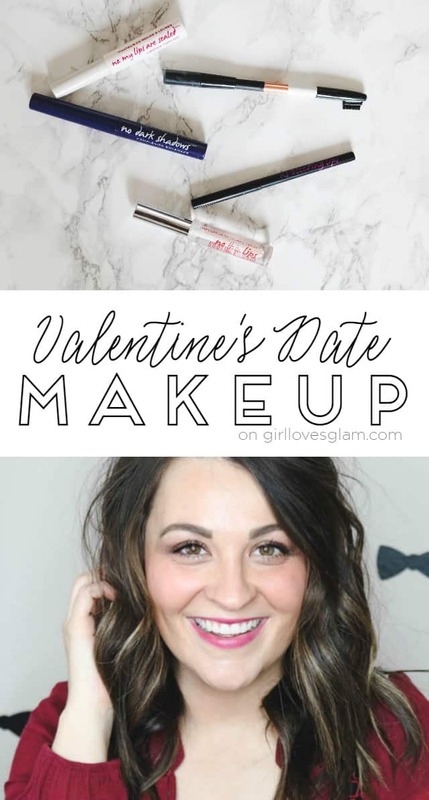 Valentine’s Day is one day each year that I look forward to getting dolled up. Busy moms don’t get the opportunity to get dressed up very often, so I like to really embrace the experience when I have the opportunity. However, getting ready for a date doesn’t need to take as long as it once did when I was in high school or college. Thankfully I have discovered a few products that make doing my makeup easy and it looks a whole lot better than my makeup did in college! Do you know what you are getting your significant other for Valentine’s Day? As silly as some people may think that Valentine’s Day is, I think that it is a really good reminder to show the people you love your appreciation. I know that it is something we should be doing on a daily basis, but going out of your way to treat someone you care about is important too! I love making Valentine’s Day a special day for not only my husband, but for my daughter too! Make sure you show your loved ones you care! With that being said, I wanted to share some gift ideas in case you are feeling a little stuck as to what to get him/her this Valentine’s Day. Over the past few years, I have noticed a trend that I really love the idea of. Galentine’s Day! It is basically just an excuse to spoil your friends with gifts for Valentine’s Day. Let’s be honest though, they probably are more fun to shop for than the man in your life! 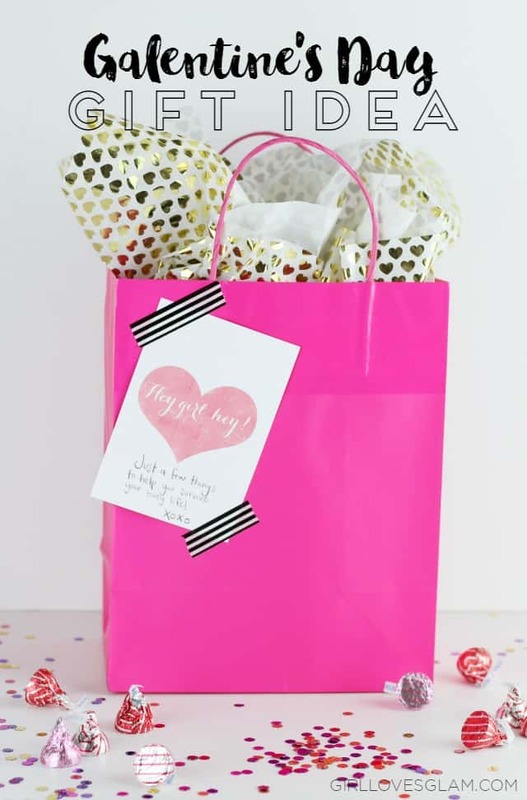 This year, I wanted to put together a little bag of goodies that a busy mom would appreciate having and put it together as kind of a “survival kit” as a Galentine’s Day present. I love seeing the cute valentines that are handed out in elementary schools. My husband was a classroom teacher and I loved going through his valentine box to see what kind of valentines the kids would choose. I distinctly remember being in elementary school and the three hardest decisions of the year where… what kind of backpack to get, what to be for Halloween, and what kind of valentines to hand out! They defined who you were in elementary school! 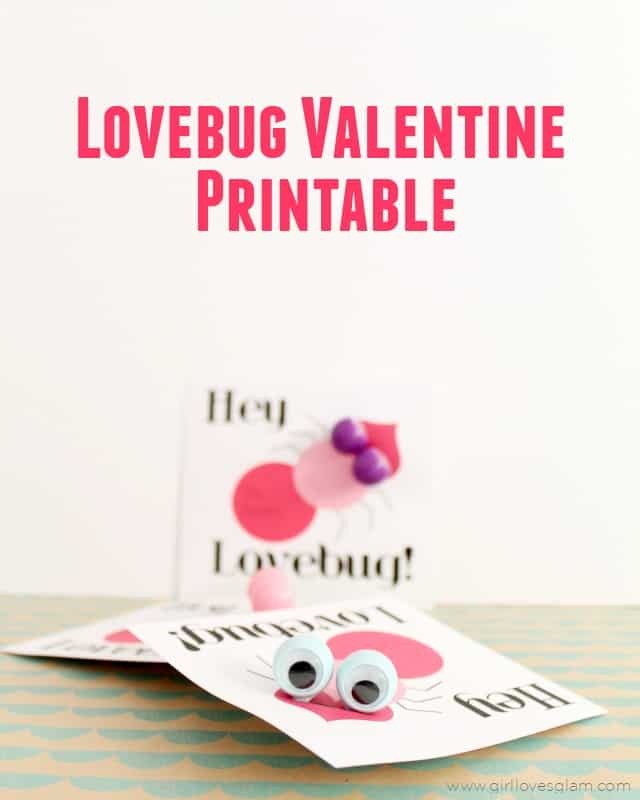 It was always embarrassing when you got to school and someone else was giving out the same valentines, so that’s why it is so great that there are so many fabulous free printable valentine cards available now. I am sharing one with you today! Who else loves Psych as much as I do? I haven’t had cable for a few years now, so I watched it as it came out on Netflix. I am sad to say that I finally just finished the final episode of the series. I am SO sad that it is over! Dave and I really enjoyed watching it together and were so sad to see it end. However, just because the show is over, it doesn’t keep us from quoting one liners from the show all day long! 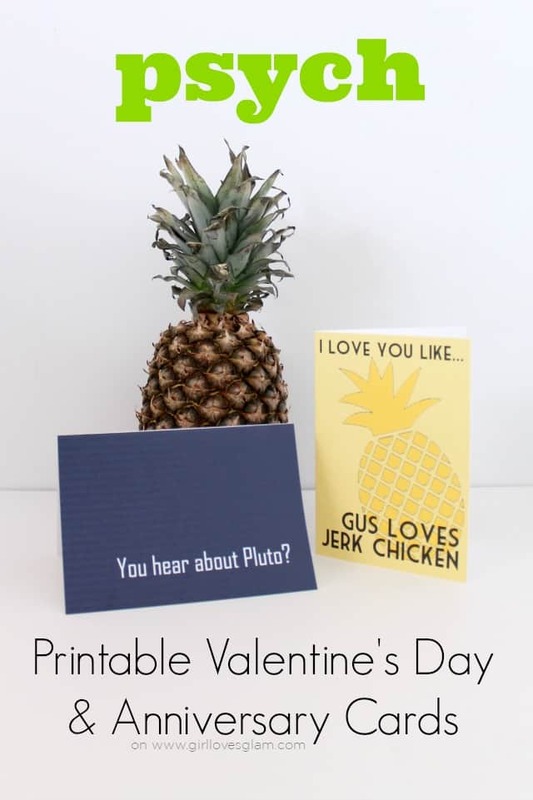 There isn’t any better Valentine’s Day card or anniversary card I can think of giving Dave than a Psych themed one. I whipped up two of them so I might just use one for each occasion! Let’s face it. Valentines can get super cheesy pretty quickly. When I got out of early elementary, Valentine’s Day started becoming a little embarrassing for me because I couldn’t handle the cheesiness. I have softened up a bit over the years. Now I embrace the cheese with open arms with my own little family, but I can appreciate a good, non cheesy valentine any day. 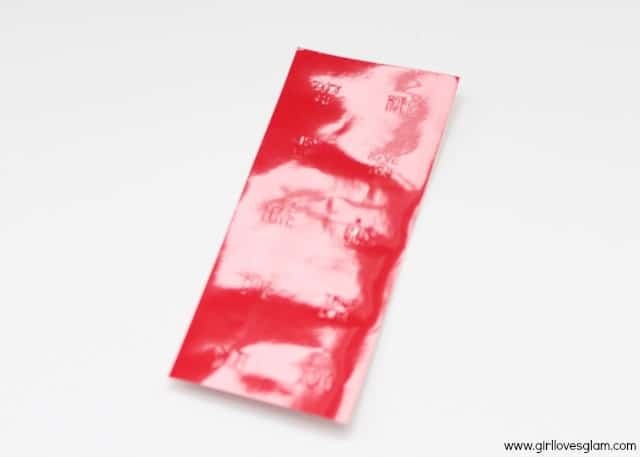 I wanted to create a valentine that would be great for older kids to give their friends that was cool and had something useful attached instead of just a piece of candy. I love conversation hearts. I know there are the haters in the world who think they taste like flavored chalk (cough, cough, MY husband), but I love them! When I was looking at some advertisements that came in the mail, I saw a few pictures of conversation hearts and it got the wheels turning a little bit. 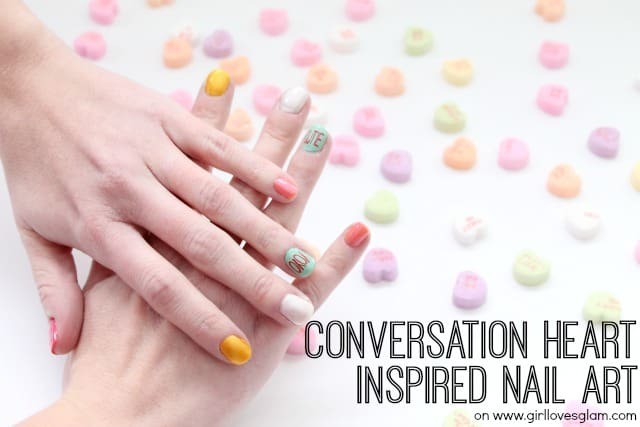 What if I did some conversation heart inspired nail art?! 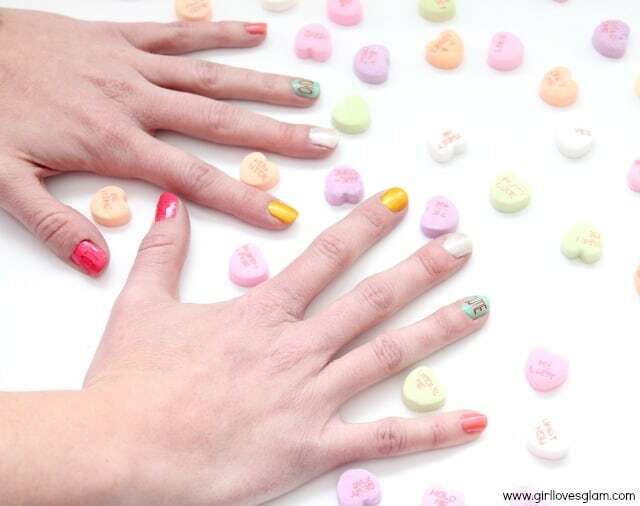 I didn’t want anything overly flashy or too literal, just nail art inspired by my favorite Valentine’s Day treat. First, paint all of your nails. 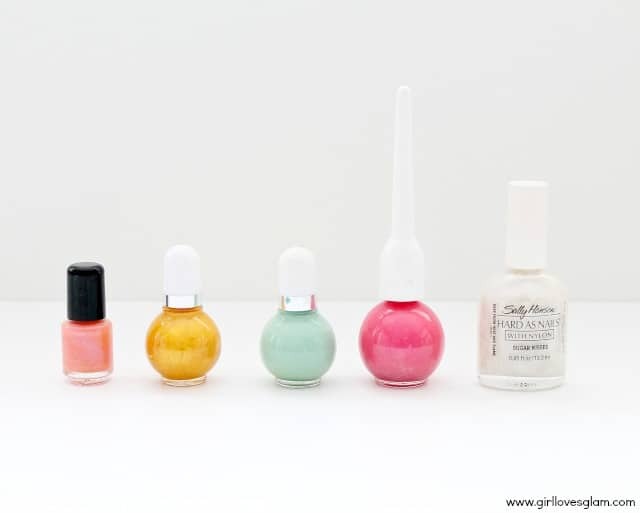 Do each nail a different color of your pastel polish, but keep both hands the same so it isn’t too busy. Make sure they are really dry before moving onto the next step. Cut out a few different conversation heart sayings out onto your vinyl. I chose to cut out enough for all of the nails and then see how I liked them on each nail to decide how many I wanted to keep on there. In the end, I chose to just put decals on two of the nails on each hand. Either use a weeding tool or transfer tape to place the letters onto your nails. 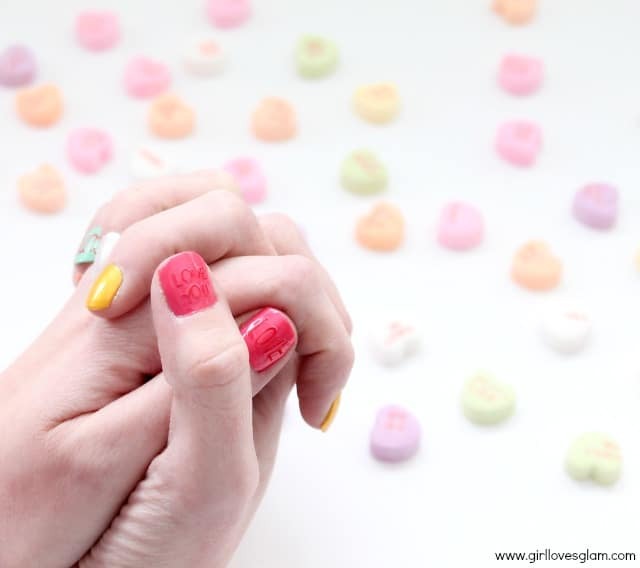 Your nails will start looking like little conversation hearts! Paint the clear top coat polish over all of your nails and let them dry. 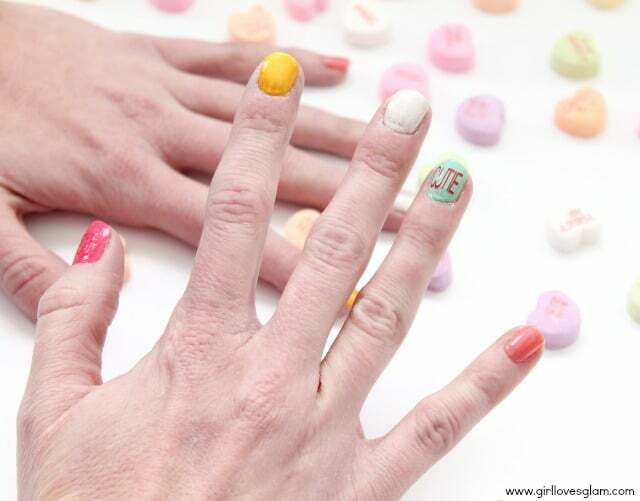 Now you have some fun conversation heart inspired nails for the big day of love! This is a Sponsored post written by me on behalf of Treat.com for SocialSpark. All opinions are 100% mine. I used to hate Valentine’s Day. I grew up being kind of a tom boy. The thoughts of having a holiday dedicated to mushy lovey dovey stuff grossed me out. Then I grew up. Now that I am adult, I love Valentine’s Day! I think it is the perfect day to really show the loved ones in your life that you care. It is the perfect opportunity to really tell them how you feel. When I was given the opportunity to try out the personalized Valentine’s Day Cards from Treat.com, I knew it was going to be perfect for all of my valentines this year. This year, I am giving Valentine’s Day cards to my husband, my daughter, my parents, and my mother in law. I also wanted to get a card for my husband that would just be from my daughter too. These personalized Photo Gifts from Treat are perfect for all of the people on my Valentine’s Day list! I chose a few different cards for the loved ones on my list, but these are two of my absolute favorites. I will be giving this card to my daughter for Valentine’s Day. I think she will LOVE seeing herself as a princess. Could that face she is making be any funnier? I love this card! I totally love the one I chose for my husband too. I think it shows him I love him, without being overly mushy. I think the design of the card is amazing too! You need to check out Treat.com for your loved ones too! Check out #SendMoreLove to see what kinds of Photo Gifts are being made this Valentine’s Day. Treat is making it even easier for you to give personalized cards to your family this Valentine’s Day too by offering you all an exclusive coupon code to receive 3 cards for $6! That is way less expensive than buying non personalized cards at the grocery store! Use coupon code SENDMORELOVE to redeem that offer! Offer expires on 2/28/14, but you need to order by 2/10/14 to make sure you get your cards in time. Treat will even send your cards for you for just the price of a stamp! They are doing everything they can to make your card giving experience the easiest it can be. Make sure to follow Treat on Facebook, Twitter, Instagram, and Pinterest to see all of the #SendMoreLove magic! Who will you be giving a Valentine’s Day card to this year? Love is in the air, friends! We are celebrating February, 14th 2014 with an incredible giveaway that you won’t want to miss! Are you ready for this?! 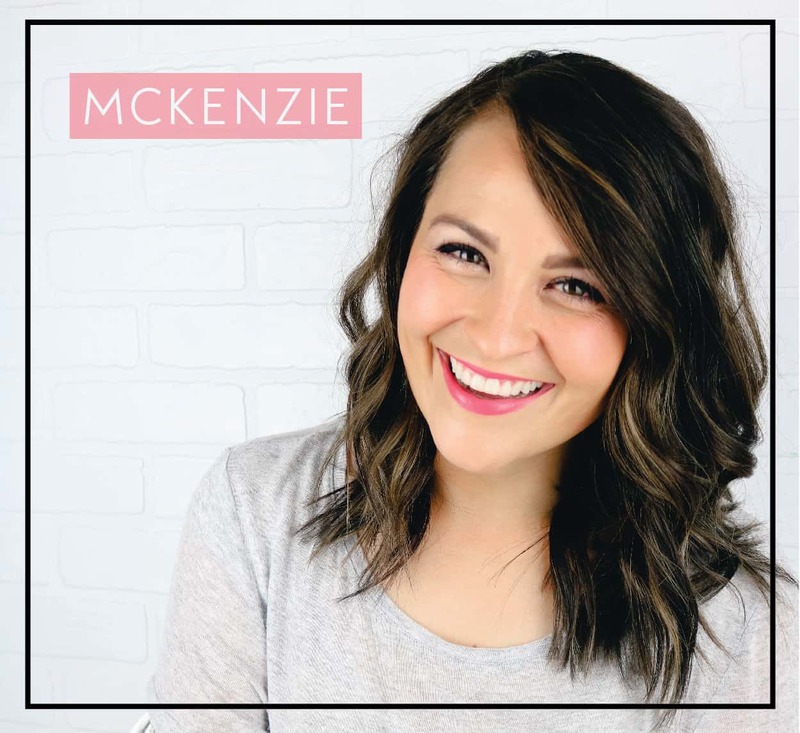 TWENTY-EIGHT of your FAVORITE bloggers have put together amazing Valentine’s Day baskets filled with everything you will need for fun, romantic night! That’s right, ladies… no more stressing over what to do or scrambling at the last minute to pull together a memorable evening. Valentine’s Day is 100% planned for the lucky recipients of these twenty-eight gorgeous baskets! Each of these are giving away a unique themed date night basket valued at over $100 each to make your evening something you will treasure forever! Are you ready for a chance to enter 28 AMAZING Giveaways? 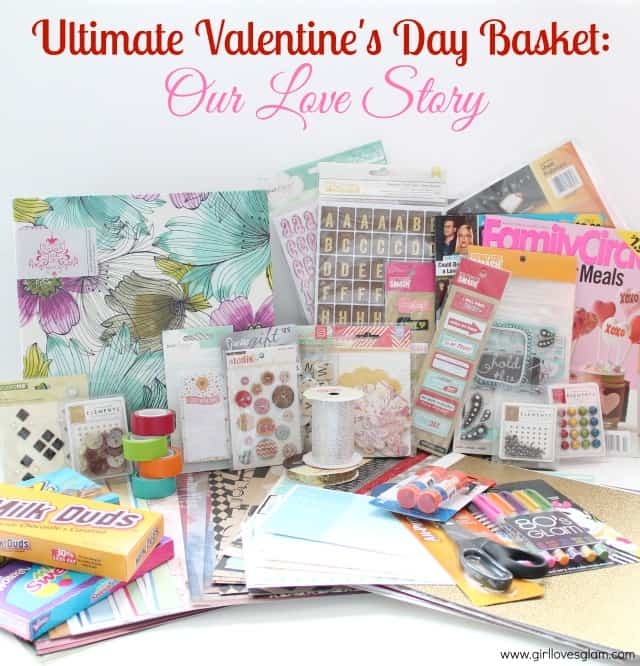 Welcome to The ULTIMATE Valentine’s Day Basket + Blog Hop!! #1) Are you sitting down?!! Ready to feast on all the delicious eye candy of the amazing giveaways you are about to enter? I thought so! #2) Scroll down further in this post to get a more DETAILED description of what I giving away. #3) Enter MY giveaway at the very bottom of the post. #4) Time to start “blog-hopping!” Click on each of my friends’ links below & enter ALL of their giveaways! #5) Definitely take time to check out each of these sites. We have quite the variety of talented ladies participating in this! You are in for a REAL treat!! Want a sneak peek at the basket I am giving away?! My basket is themed after the Dating Divas’ Our Love Story Date Night! Click on each link to view each site, and enter to win their “Valentine’s Date Night” basket. If you receive an error message, click to the blog’s home page. So much inspiration, right?!? This basket is FULL of fabulousness to keep you and your date busy creating a fun scrapbook of your love story! Not only will you get to create a fun scrapbook, but you get a Visa gift card so you can get yourself some takeout and enjoy the treats the basket comes with too! Here is what you get with my Valentine’s basket valued at $135! Over 50 sheets of scrapbook paper! This isn’t the ugly kind either. 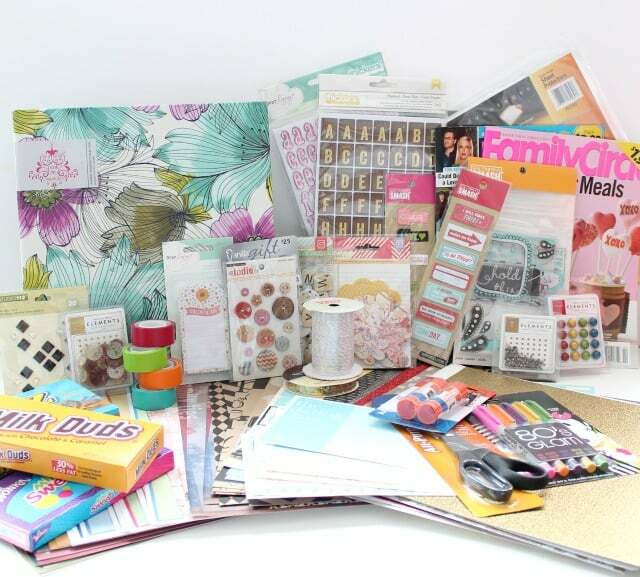 This is good stuff that you will love crafting with! A gorgeous binder to put your pages in. Magazines to cut up and help create decorations on your pages. 2 sets of alphabet stickers. 10 different scrapbook decor sets. These are super cute, fun ones too! 4 rolls of washi tape. 1 roll of baker’s twine. 1 package of super fun colored Sharpies. 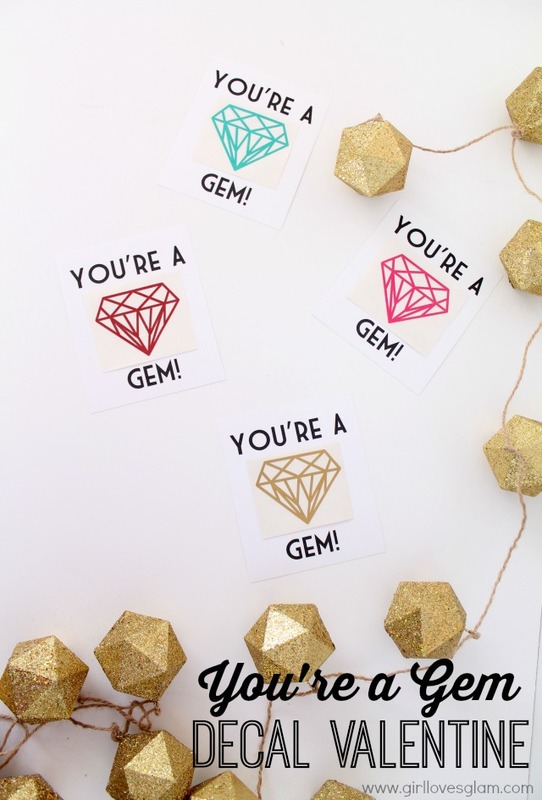 10 printables from The Dating Divas. $25 Visa gift card for dinner! Ends at midnight on January 24th. US residents only.